“Resilient Federal Forests Act of 2017” does not promote resiliency and instead undermines years of collaborative restoration work. Yesterday, the U.S. House Natural Resources Committee marked up and passed H.R. 2936, the “Resilient Federal Forests Act of 2017,” which if passed into law would reverse 40 years of advancement in the planning and management of America’s public forests, increase wildfire, harm streams and wildlife, and likely reinstate the contentious forest wars of the late 1980’s. H.R. 2936 will now go to the full House for a vote. “This bill is an act of aggression against both our public forests and the collaborative spirit and effort that has moved many forest communities from conflict to common ground over the past decade,” said Mitch Friedman, Executive Director of Conservation Northwest (CNW). 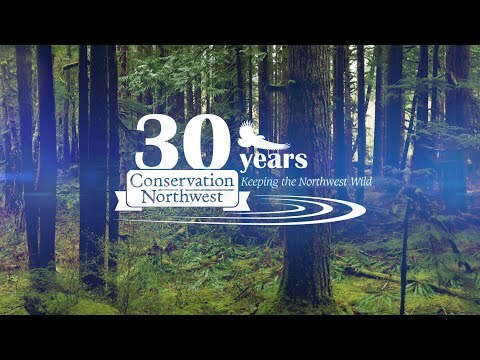 “CNW’s professional field staff has been deeply involved in the collaborative development and implementation of over fifty large forest management projects on national forests in Washington over the past fifteen years. Such work would end the moment this bill was signed,” added Friedman. “H.R. 2936 opens the door to replacing science-based restoration of healthy, resilient forest ecosystems, a model that benefits people, wildlife and local communities, with projects focused on timber production that all too often have the side effect of actually increasing fire danger,” said Derek Churchill, Ph.D., a professional forester and forest scientist. H.R. 2936 would exempt from environmental analysis and oversight massive logging projects, from ten to 30,000 acres. It would expedite the logging of fragile recently-burned forests, eliminate protections for old growth and roadless forests, and cause a flood of litigation. Conversation Northwest is firmly opposed to H.R. 2936.